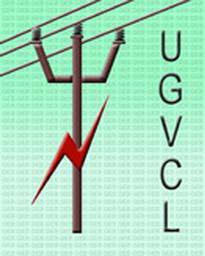 Uttar Gujarat Vij Company Limited (UGVCL) Published Recruitment Notification for "Chairperson" of Consumer Grievances Redressal Forum(CGRF) Post. View More Details About This Recruitment Including Total Posts, Posts Name, Qualification, Age Limit, How To Apply etc., are Given Below. Qualification & Experience : Desired Candidate shall be a Retired District Judge or a Retired Senior Judicial Officer or a Retired Civil Servant, not below the Rank of Collector or a Retired Senior Electrical Engineer, not below the Rank of Chief Engineer, having Experience of Distribution of Electricity. The Candidate should have Knowledge of Gujarati Language. How to Apply : Interested and Eligible Candidates can Send Their Application in Prescribed Format to Below Mentioned Address Along with Other Necessary Documents. Send Application to This Address : The Additional General Manager (HR), Corporate Office, Uttar Gujarat Vij Company Limited, Visnagar Road, Mehsana - 384001.